The Baltic Exchange's main sea freight index, tracking rates for ships transporting dry bulk commodities, marked its first gain in five days on Tuesday, helped by firmer rates across vessel segments. The overall index, which factors in rates for capesize, panamax and supramax shipping vessels, rose 34 points, or 2.8 percent, to 1,237 points. The capesize index snapped four straight sessions of losses and gained 6.2 percent, or 101 points, to 1,739 points. Average daily earnings for capesizes, which typically transport 170,000-180,000 tonne cargoes such as iron ore and coal, increased by $770 to $13,837. The panamax index rose for the seventh straight session, gaining 5 points to 1,474 points. 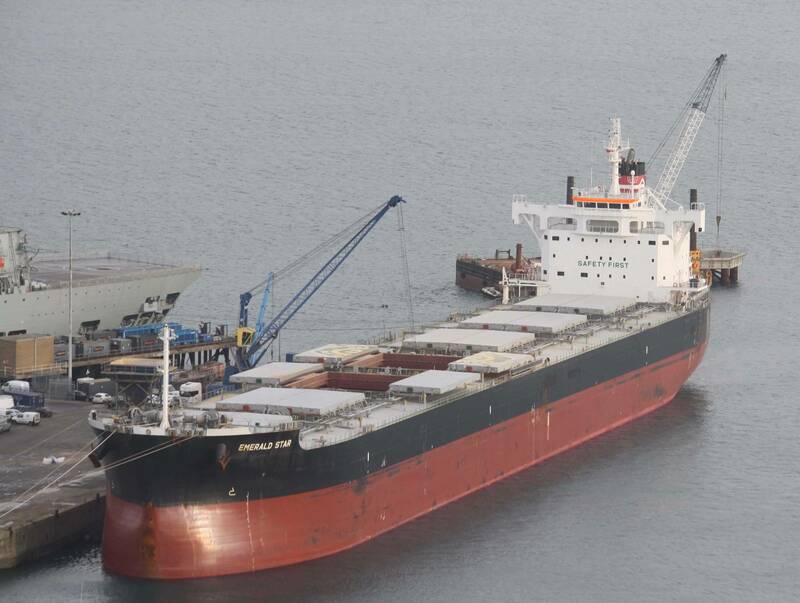 Average daily earnings for panamaxes, which usually carry coal or grain cargoes of about 60,000 tonnes to 70,000 tonnes, increased by $43 to $11,789. The supramax index was up 4 points to 949 points.